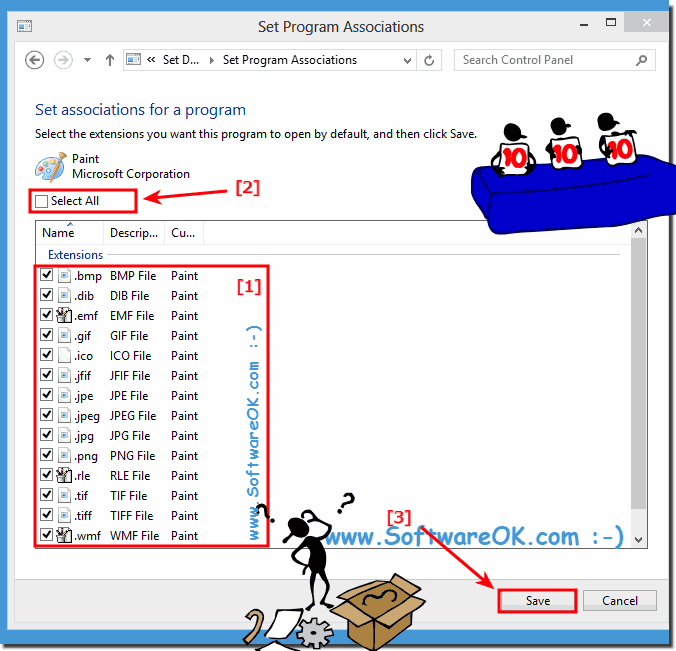 To define a program to open multiple file types (extensions) in Windows 8 / 10 or 8.1! 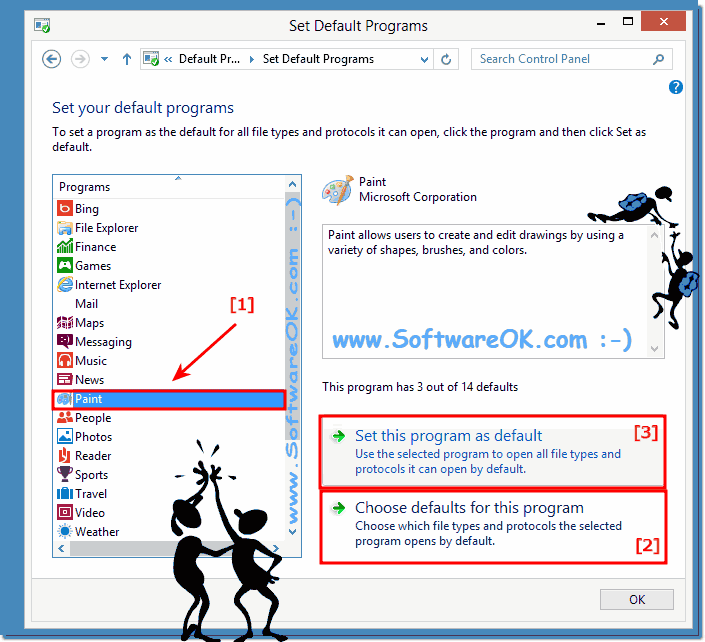 Or open default programs and tap or click the text "Set your default programs"
In Set default programs select the preferred program or app [... see Image 1 Arrow-1]. And click or tap "Choose defaults for this program" [... see Image 1 Arrow-2]. (Image-1) Choose programs in Windows 8 to use as the default for file type. This option to choose which programs you want Windows to use as the default. What you choose will only apply to your user account and won't affect other user accounts on this PC. Use this option to choose which programs you want Windows to use as the default. What you choose will only apply to your user account and won't affect other user accounts on this PC. Windows-8 - FAQ-73: How to define in Windows 8.1 / 10 a program to open multiple file types? In Windows 8 a program to open multiple file extensions? Open multiple file types with one program in windows 8? Windows 8 open with a single program multiple file types? Windows 8 open with multiple files? How to define in Windows 8 a program for multiple files-types/fileextensions? Define the program to open files windows 8? Open multiple files in windows 8? How to choose which programs you want in Windows 8 to use as the default?